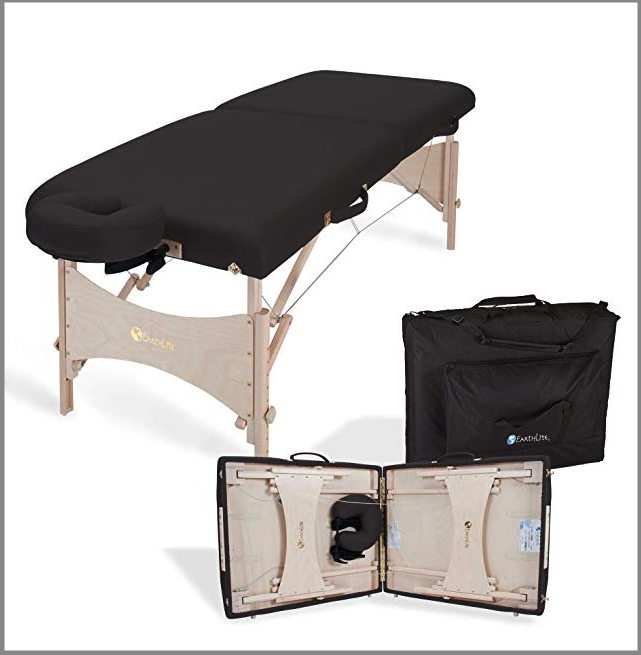 You know what I appreciate the most about a quality portable massage table? I know, it doesn’t seem like a huge deal but you’ll be surprised how small details like that can affect your massage experience. After all, it’s supposed to be a very quiet zen-like experience. If you’re looking to avoid mistakes buying cheap tables, you came to the right place. I can assure you that the EarthLITE harmony DX massage table has a lot to bring to the table (you see what I did there?). 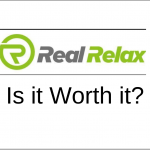 Today, I’ll walk you through my personal experience using the EarthLITE Harmony DX table. You know when you first get into a hotel room, you just have to jump on the bed? We were tempted to do that on the EarthLITE Harmony DX table. Good thing we had a little self-restraint because we might not have this review if we didn’t. Jokes aside, the sturdiness of this table is real. We had several people lay on it and move around on it. Even on the higher range of 250 lbs to 300 lbs, our testers felt that this portable massage table was stable and not wobbly. We’re not surprised since the working weight (the metric that matters more than static weight) of this table was an astounding 600 lbs! The table is made out of maple wood and aircraft-grade plywood decking. Now, let’s talk about the width and length of this table. Cheaper tables have narrow tables in order to cut costs. Narrow tables are really annoying because your arms dangle on the sides. The EarthLITE Harmony DX table is 73 inches long (without the head rest) and 30 inches wide. These kind of dimensions will fit most people very comfortably (as it did for us!). There are other less obvious parts to this table that make it a high quality. To name a few: stable foot design for more contact with the ground (so the table doesn’t move), wooden corner blocks, and ergonomic knobs. EarthLITE also has patented adjustable face cradle with proprietary Cloudfill polgy-gel. What does this mean for you or your clients? It means that the face cradle is very comfortable and adjustable since every person has a different shaped head. EarthLITE gives our lifetime warranty on the frame and construction and a 3 year warranty on the foam and upholstery. That’s a company that will stand behind their products! 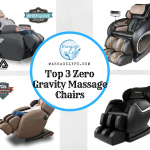 I’ve laid on hundreds of massage tables as a client. The one thing I can’t stand are thin cushions. Who wants to feel the hard decking beneath the cushions? Not me. So it’s nice that the EarthLITE Harmony DX has 2.5 inches of dual layer cushioning. No massage table is perfect. We try to nitpick it so you know what you’re getting. The first nit we had is the indentation above the fold of the table. If you were to graze your hand across the table, you would feel a very slight bump in the middle where the two decking is hinged together by the piano hinge. Again, not a huge deal but something to be aware of. The headrest is also a little loose, although comfortable. It doesn’t have a snug fit onto the table. Lastly, the EarthLITE Harmony DX table is not light weight. It weighs 40 lbs and the nylon carrying case makes it a little difficult to carry, especially without a thick shoulder padding on the strap. 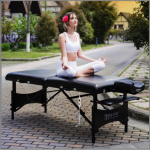 The EarthLITE Harmony DX table is a great buy for those looking to purchase a sturdy portable massage table. It has thick cushions; it’s sturdy and the price is not too steep. The brand is very green so you’ll be happy to purchase toward a good cause.